Walking backstage to interview Suzanna Bailey, A.C.T.’s Head of Sound, was like entering a living room on Christmas Eve. New microphones had just come in for A Night with Janis Joplin, and Bailey was excited. Janis is an opportunity for Bailey to return to her roots in sound design. While studying theater in college, she ran sound for a punk band that brought her to the Bay Area. As A.C.T. 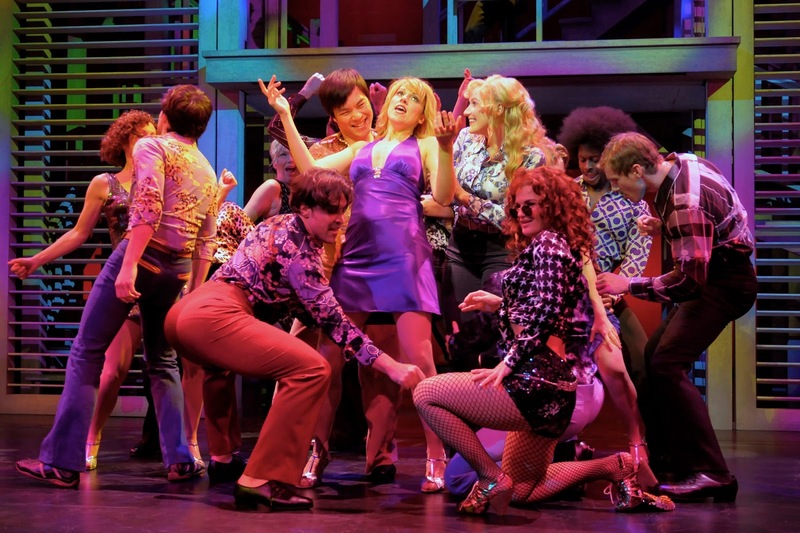 prepares to rock The Geary like it’s 1967, we caught up with Bailey to talk about running sound for a 1,000-seat theater, collaboration, and sweat-outs. Is there a typical sound setup or is sound different for every single show? For many productions, we use our rep system [the layout of a theater’s main microphones and speakers], and supplement it with specials [sound elements which are required to implement the design for a particular production]. The rep system is built around the idea that you need to be efficient with cost and time as you go from one show to the next. A.C.T. 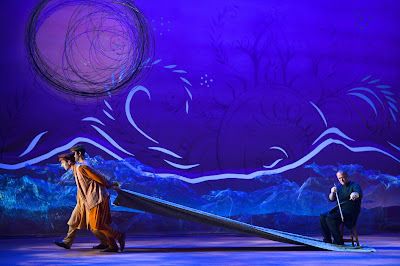 's 2011 production of Tales of the City. Photo by Kevin Berne. With musicals, everything is different because it’s linked to the way the designer wants to work. His or her system may completely change my normal rep system, but usually they try to work around your hang and layout [where you already have microphones and speakers placed]. As far as playback goes, that changes from show to show depending on the number of effects and whether the actors are body mic-ed. What were the most challenging shows to work sound for? The show where I learned the most was Tales of the City (2011). I was working as an A2 [second audio assistant or engineer]. It’s a hard job but a satisfying one. You’re constantly monitoring microphones and checking placement. You’re there on the front lines before something malfunctions. You’re also a medic: icing people down, making sure they feel comfortable, getting them back onstage. That’s one of the things I like about that position; you’re taking care of the performers, not just putting their mics on them. During Tales, sweat-outs [when sweat gets into the microphone element and alters the sound or causes it to fail] were constant. It was a constant race to get water out of the mics because it was a heavy song, heavy dance production. There was one performer whose mic sweated out right before a major song that lead into a dance sequence. Everyone thought it was a lost cause; because we didn’t know which element was malfunctioning, we needed to swap his mic and transmitter, and repatch the mic output to the board. As he was coming off to do a quick change, I managed to swap his mic in 26 seconds. In this type of work, the ensemble backstage is as important as the ensemble onstage. A Thousand Splendid Suns. Photo by Kevin Berne. What’s the advantage of running sound from the back of the orchestra? It’s the best way to stay in touch. The connection I have with the actors being that close is something special. I can see them, I can feel their energy, their timing, their rhythm. There’s nothing like working one on one with musicians and designers to create a living score for a production. With A Thousand Splendid Suns, musician David Coulter and I were not just repeating the same thing every night. I was firing off loops for him based not on a specific cue but on the rhythm of the scene of that performance. It wasn’t about being under the strict call of the stage manager. It was about how we were going to feel it tonight. Being inside of the play, feeling the rhythm of the actors, the audience, and the musicians is a very special thing. It’s something that I don’t ever take for granted. A Night with Janis Joplin runs from June 7–July 2 at The Geary Theater. Click here to purchase tickets through our website.